Law enforcement usually advertise checkpoint locations about a week in advance. The announcements are usually made on law enforcement sites, TV stations, local papers and news outlets. If the checkpoint does not get announced it does not mean it is unlawful. Please see below for dome of the most common DUI checkpoints in the San Diego area. For people heading to the 94, weekend nights often mean DUI checkpoint, near G and before 14th street from 11 p.m. Friday to 3 a.m. Avoid by getting over to Kettner, Pacific Highway or Harbor Drive, or take 5th to E St., then turn left on 11th St. to get to the 163. Watch blue police cars – stay away. Be safe. DUI checkpoints are commonly set up on Mission Bay Drive before the 5 freeway in San Diego California. Avoid the 5. Take the coast. Leave Pacific Beach out through La Jolla even though it is longer. Or take Mission Blvd. to West Mission Bay to the 8. Watch blue police cars – stay away. Be safe. 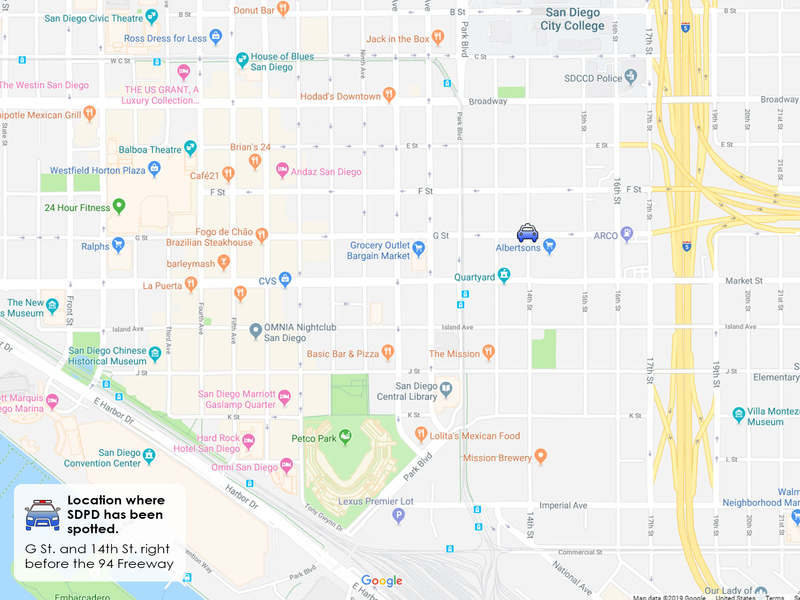 Below is an interactive map of the San Diego DUI Checkpoints commonly found around town, which includes the most recent DUI Checkpoint locations in San Diego. Here’s California DUI Checkpoint law. Check back often as this map is updated daily. Tweets and blogs can help you avoid a DUI Checkpoint in San Diego or elsewhere in Southern California. It’s that simple. Save yourself over $10,000 by regularly checking this page! You know what’s not right with sociable citizens? Scaring decent motorists everywhere because of all these San Diego DUI checkpoints!
! Come on cops, follow the rules! This leading San Diego DUI criminal defense lawyer has these tips on how to handle a San Diego DUI / Drunk Driving Checkpoint if you happen to drive into a San Diego DUI Checkpoint. With holidays, weekends, and the San Diego County AVOID the DUI campaign, many more San Diego DUI cops will be looking for drunk drivers and asking questions of folks they do NOT have to answer, and asking folks to do things they don’t have to do. If you the San Diego DUI officer contacts you in the checkpoint or asks you to go to secondary for a California DUI assessment, politely roll down your window and perhaps put your hands on the steering wheel. If a San Diego DUI officer asks you if you for anything other than (1) License, (2) Registration, and (3) Insurance, remember you don’t have to answer. Just give them the three items and politely wait. Do not make any statements to the San Diego county DUI cop. Remember you are not required to speak to San Diego DUI checkpoint / San Diego area drunk driving officers. Be brave and hold your ground. San Diego county DUI Checkpoint cops are trying to collect DUI evidence against you. Please do not give the officer anything other than license, registration and insurance. “Officer, I understand and respect what you do for a living, but I do not want to answer any of your questions.” You do NOT have to answer anything. If the cop insists, give him the name of your San Diego DUI criminal defense attorney (e.g. Rick Mueller) and his phone number (1 800 THE LAW DUI). You know your rights. The less San Diego DUI evidence the cops get at the roadblock, the better for you. If you have alcohol on your breath, you will get arrested anyway. But do not give the San Diego DUI checkpoint officer anything to put in that report that she or he can use against you later. wish to participate in any tests. You are not required to comply. San Diego DUI officers try to give some tests to try to figure out if you are impaired (but mostly just to collect evidence and point out the things you allegedly did wrong). Many San Diego drunk driving cops learn how to do these tests, and thereafter forget them, often making up their own series of “tests.” Please do not do them. Polite hold the course and continue to say that you do not wish to perform and tests. You have that right. blow in the little box. Hand-held breath test gadgets are unreliable, and often “display” falsely elevated numbers which are higher than your true BAC. Do not blow in the little box if the San Diego DUI cop wants you to. Unless you are on probation or under 21 years of age, under the California Vehicle Code, you are NOT required to blow into the little hand-held San Diego DUI breath gadget; you are entitled to refuse the little roadside San Diego breath test. But you must provide blood or breath on a big breath test machine per California’s implied consent laws; do one (not both) and that’s it. Nothing more. Politely. Here’s another thing that isn’t right! Somebody tell me why the Costa Mesa Police Department has a California DUI / Driver’s License checkpoint on a Tuesday?! What a waste of money. Yes, a Tuesday California DUI Checkpoint with lots of well-paid police officers having coffee and donuts from 6:00 P.M. to 11:00 P.M. Funding for this waste of money California DUI checkpoint comes from state and federal governments who love to waste money and tax taxpayers – the California Office of Traffic Safety through the National Highway Transportation Safety Administration. Who goes out on Tuesdays anyway? There can’t be any reasonable financial return on this endeavor. It’s one thing if a person is justifiably arrested for being drunk while driving on a friday or saturday night and who then will face jail time, loss of their driver’s license, higher insurance rates, and dozens of other unanticipated expenses on a Tuesday night. But how can the state make any money at this? If the state wants to waste money, fine. But save yourself $10.000.00 or more. 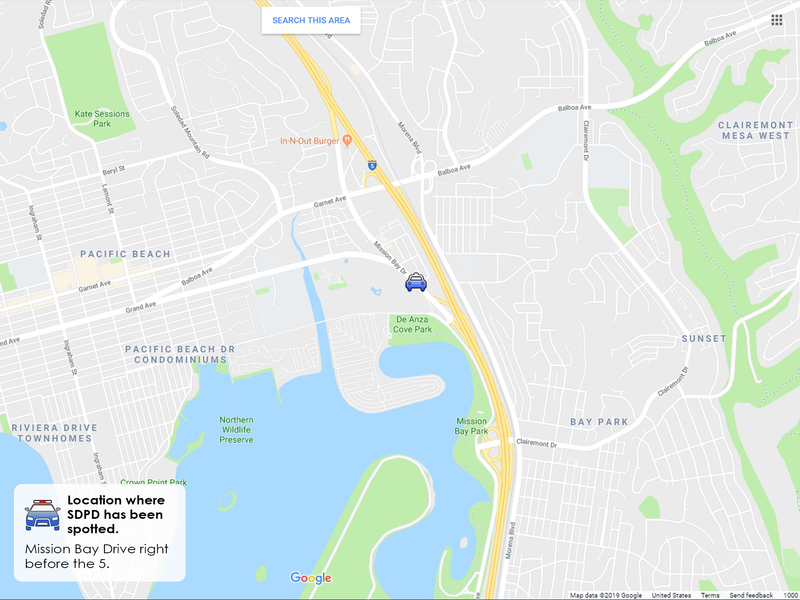 Get current with this drunk driving defense tool – safely view all the common and current DUI Sobriety checkpoints in San Diego. Lastly, please help the cause – just send in San Diego & Southern California DUI / Drunk Driving Checkpoints that you see and we will post them. Sponsored by Superb-rated San Diego DUI Criminal Defense Lawyer Rick Mueller.